This is a Mass Effect Andromeda planet locations guide on the planet, Havarl. Here, you will learn details about the planet’s climate, wildlife, and indigenous species. We will be updating this as more information comes out. Havarl is a planet found in the Faroang system. Initially the homeworld of the Angaran people. 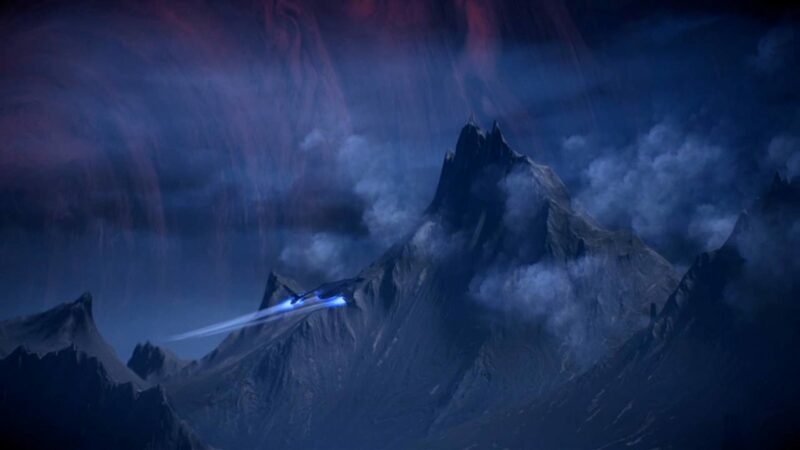 As Jaal explains, Havarl is considered the ancestral home of the angara. The ruins of angaran cities are a draw for researchers, looters, and angara who defy the kett to make pilgrimate. The planet’s history also makes it a symbolic staging ground for the ruthlessly xenophobic Roekaar. Long-range surveys by the Andromeda Initiative indicated Havarl was a garden world of lush green jungles and abundant liquid water. The planet was considered a “golden world,” and given the label Habitat 3. Our observations today show Havarl is unrecognizable. The jungles now dominate much of the planet’s surface, demonstrating bizarre growth patterns. Samples show grotesque mutations and hormonal changes in the jungles’ plant life, rendering it not only extremely hardy, but hazardous for consumption. These factors point to a large-scale shift in Havarl’s ecology that bears investigation.